Just this week, Frank Sinatra's widow, Barbara Marx Sinatra, died at the age of 90. So this week, we are dusting off a relatively unknown Frank Sinatra album from 1968. 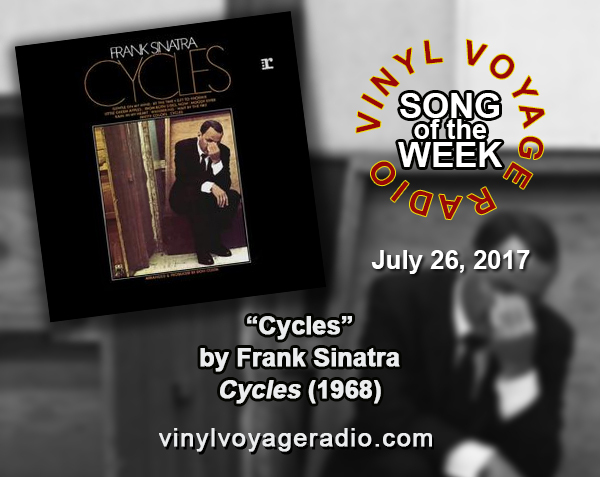 The song is "Cycles," perhaps one of the greatest Sinatra songs of all time. This song truly highlights Sinatra's ability to interpret lyrics. The Song of the Week can be heard on Wednesdays, 10am and 10pm, Central (-5 GMT) and throughout the week. 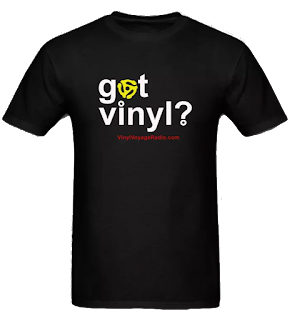 Listen to the song now, played on glorious vinyl. Martha Davis can sing. Boy, can she sing. The first time I heard the Motels was probably the same for most people when their single, "Only the Lonely" was released in 1982. 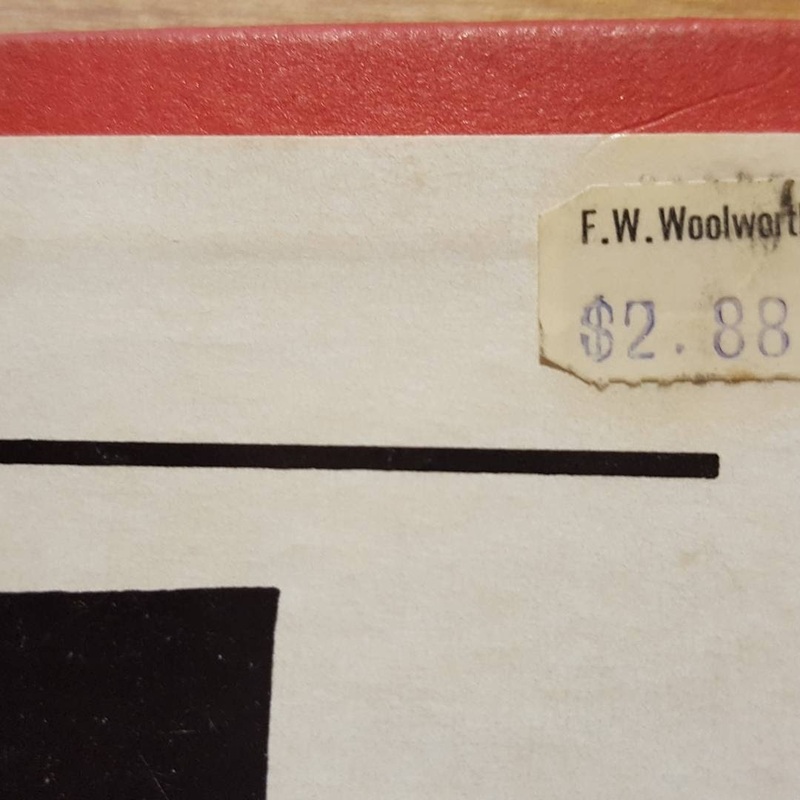 It had heavy radio and MTV air-play. That song, though, appeared on their third album. Yes, the Motels had two albums before "Only the Lonely" was released. In fact, the band was formed int he early 70s. And they produced some great stuff that is hard to classify, as it spans genres and styles. Perhaps that is why they weren't necessarily promoted like they deserved. Most wanted to pigeon-hole them as a "New Wave" band. but they were much more than that. Their self-titled debut album came out in 1979 on Capitol Records and it was ahead of its time. The last song on the album is "Counting." To me, this is a song that fits in just as well today as it did back in '79. 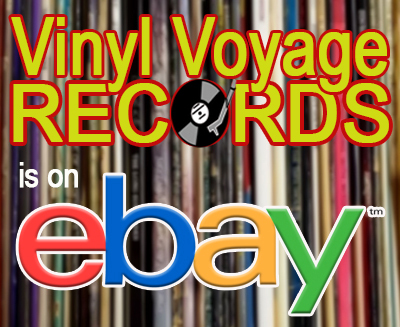 It is the Vinyl Voyage Song of the week. Join us for the song on the week at 10 am and 10 pm (Central, -5 GMT) on Wednesday, July 19 and throughout the week. By the way, Martha Davis is still touring with the Motels and can be seen this summer. Click here for more information. 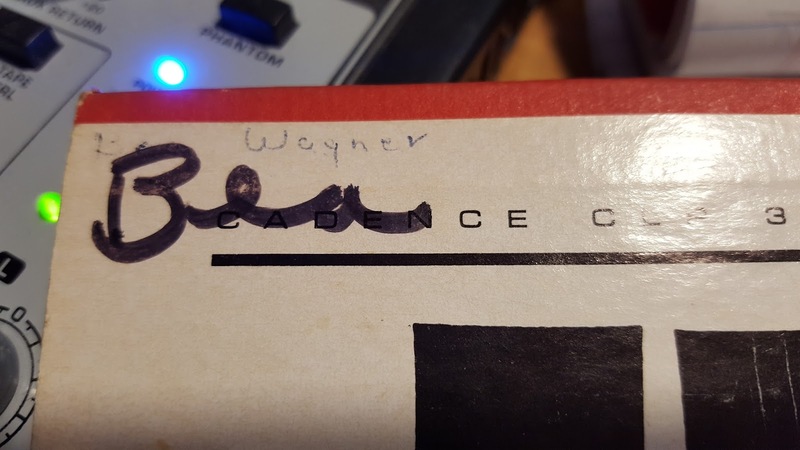 Watch as an new copy of the song is played for the first time on original vinyl. I realized recently that I had very little Everly Brothers in the Vinyl Voyage library. After all, I could only name a few songs of theirs off the top of my head. So it didn't seem to me to be much of a deficit. I had "Wake Up Little Susie" and "Bye Bye Love" and "All I Have to Do Is Dream." 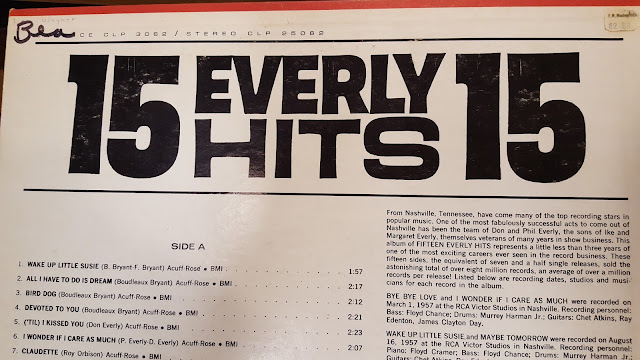 Two days ago, I stumbled upon a 1963 greatest hits album of the Everly Brothers entitled, 15 Everly Hits. I gave the album a nice cleaning and put it on the turntable. Almost immediately, I recognized that my library was woefully deficient. 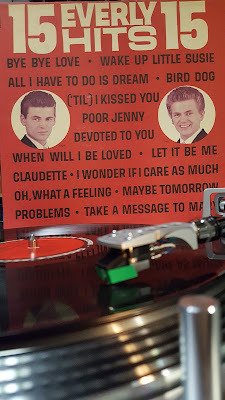 The Everly Brothers had amazing vocal harmonies, and reminded me of a Simon and Garfunkel prototype, singing folk infused, acoustic guitar tunes before it was a thing some 10 years later. Indeed, Paul Simon often referred to the Everly Brothers as his "heroes." "Wake Up Little Susie," of course, is pure rock and roll. Risque, no doubt for the times, but hitting on the themes that built rock and roll. "Bye Bye Love" and "('Til) I Kissed You" are pop gold. "Bird Dog" is a fun tune, in the vein of Chuck Berry or the Big Bopper. I knew "When Will I Be Loved" first from the Linda Ronstadt version, forgetting that it was an original Everly Brothers tune. And then there's "Let It Be Me." Although not written by the brothers, "Let It Be Me" was undeniably performed with an Everly Brothers style when recorded by them in 1960. It was originally a French tune from 1955, adapted into English by songwriter Manny Curtis and given to the Everly Brothers. What can I say? The song is sublime. I've heard the song performed many times by many other artists (the first time was probably the Petula Clark version, played often in my childhood). Even though I have heard the Everly Brothers version many times before, this time the song really struck me. And here are the Everly Brothers, a full six years before Brian Wilson penned "God Only Knows" with what seems to be the forerunner to that song. Not just the themes, but the harmonies, the use of strings, the structure and the sentiment are very similar. Musical relatives, actually. 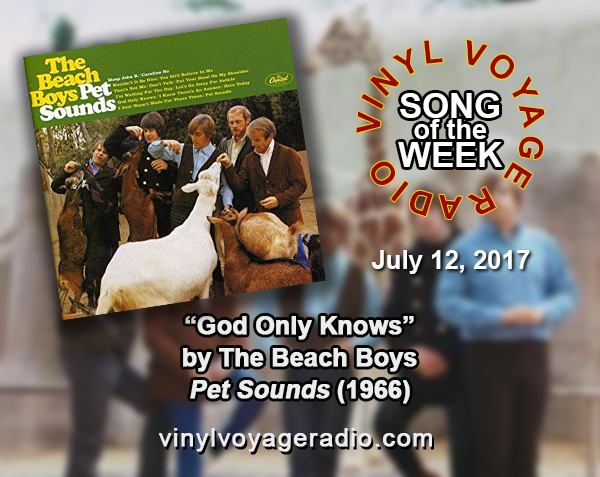 One has to wonder if Brian Wilson would have ever written "God Only Knows" in that way if it had not been for "Let it Be Me." Take a listen below. "Let It Be Me" is the upcoming Song of the Week. On this new episode of Adventures in Vinyl, we are taking a time trip back to 1983 for the K-Tel compilation, "Hit Explosion." 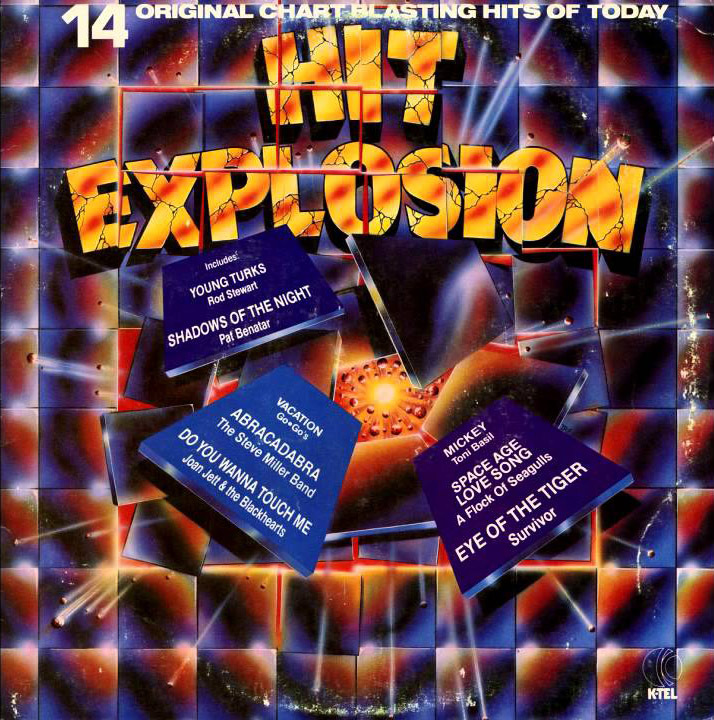 This album features hit songs from 1982 and 1983, including Haircut One Hundred, Toni Basil, Pat Benatar, Santana, Rush and many, many more. This album was released in 1983 simultaneously with another K-Tel compilation, "Get Dancin'." Or, listen on demand via Mixcloud.